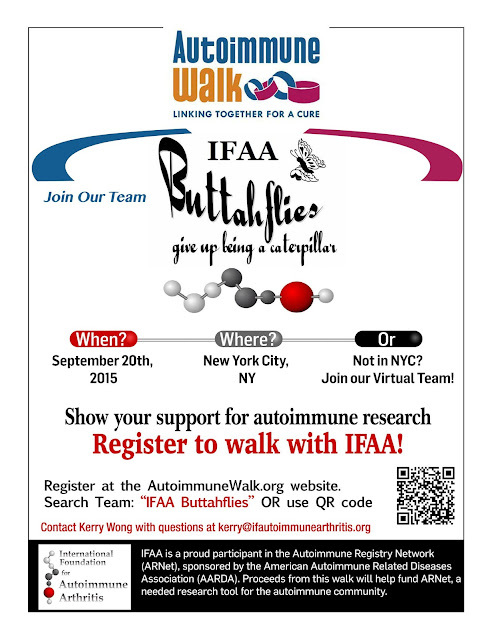 IFAA - Register to Walk! Physically or Virtuallly!! You Can Join in! Who out there lives in or near (or will be in) NYC on September 20th, 2015? There is a great event that day hosted by American Autoimmune Related Diseases Association (AARDA) to raise awareness about autoimmune disease. 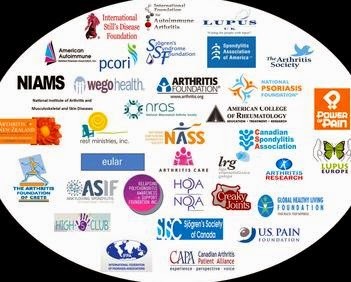 International Foundation for Autoimmune Arthritis, official hosts and event coordinators of World Autoimmune Arthritis Day, is attending to support the event and to raise awareness about a much needed AARDA program "ARNet" (Autoimmune Registry Network). If you will be in NYC on September 20th please sign up to join the IFAA Buttahflies and meet IFAA Executive Assistant, Kerry Wong and other IFAA Representatives. Sign up by yourself or with family and friends but sign up if you care about autoimmune arthritis awareness and have a fun day with IFAA and AARDA! 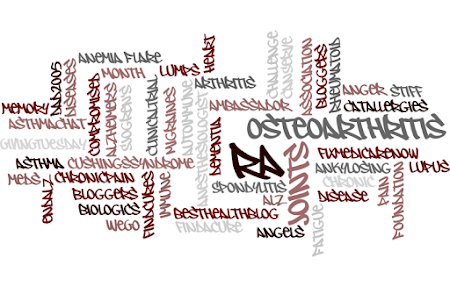 September National Pain Awareness 2015 starts tomorrow! 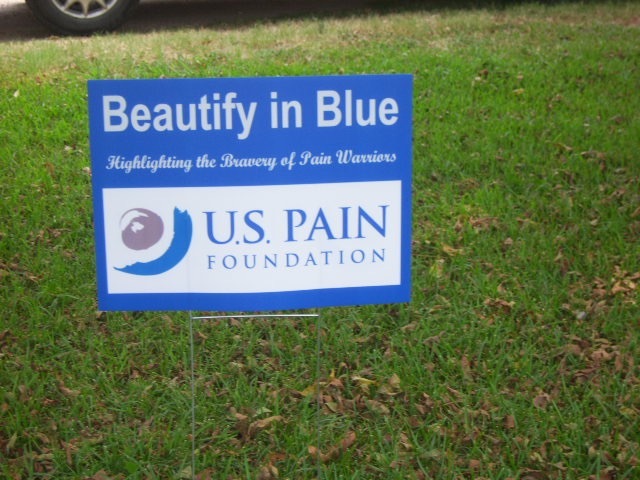 "Beautify in Blue" campaign by the US Pain Foundation. 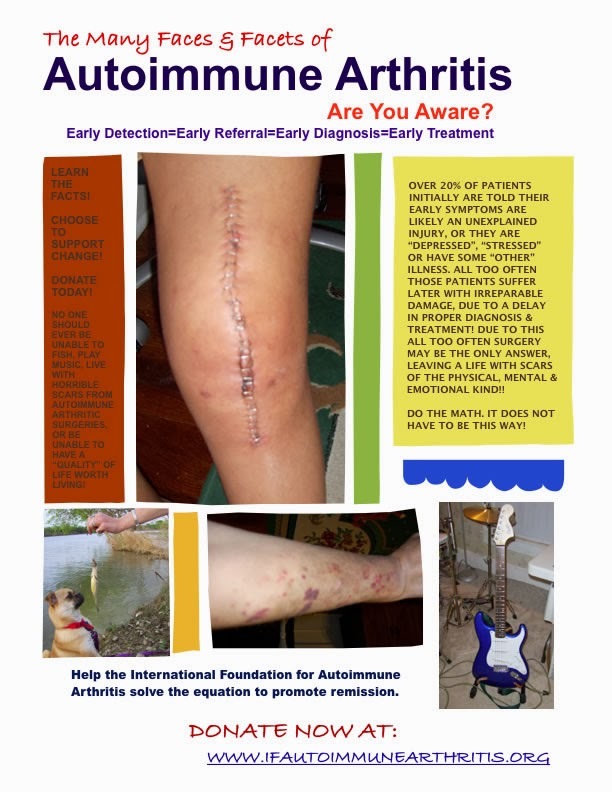 Also see this link: http://www.uspainfoundation.org/ and sign up for the 30 day Challenge!!! There is a .pdf that you can find there and I have posted the information in a post below... come in and join!!! A quick note - I am BACK on BOTH Rifampin and Bactrum now for the FOURTH time! I did FIND a Surgeon Finally that takes my insurance! But, he could not get me in until a week from yesterday, so next Friday! In the meantime, the 1st LUMP began to show "outer" signs of "infection I thought. It was NEVER red or all that sore through the whole ordeal. But, last week about Monday, I began to notice not is it only reddened on the top of the skin, it is also, seemingly "puffy" and sore to the touch. The "smaller lump" is now also a bit larger, but also sore as heck to the touch. In fact just walking sometimes makes them feel tender and sore. So, I called my PCP yesterday and he put me on another round of antibiotics until i can get into the surgeon. Since this seems to be EXACTLY what I am personally going through, I wanted to post this article! 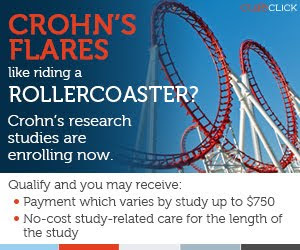 Never, ever would I have ever imagines, I would have cellulitis! What is MOST TERRIFYING IS THAT NOW I have TWO lumps one on EACH Upper Front Thigh and they are almost exactly where I gave myself THE LAST TWO INJECTIONS OF ORENCIA!!!! We are always "reminded" and educated about the risks of these medications, yet some of them more rare than others.... just a "heads up" for all! Well once again we face another Friday! This week has been anything BUT GOOD... in about 4 billion ways, I thought I may just lose my mind, or the tiny bit of it I thought I had left.... FINALLY and who knows for sure but Urgent Care called yesterday afternoon and after over 2 WEEKS of back and forth from them to the Rheumy, I think they have the correct Order for the Chest Xray!!!! Sometimes miracles "can happen"... although lately NOT for me! I believe I mentioned I DID FINALLY FIND a Surgeon who is thankfully just over in Waxahachie to probably remove this lump on my left thigh. But, what I have NOT told the doctors at all, is that I have this other one that formed several weeks back on my right thigh, in just about the same spot. But, since I am seeing the surgeon a week From today, I felt I would bring it up then. BUT< once again I ran into another issue... now that lump that never really was "red" or what they call "agitated" on the outside, or really was never sore, now in the past few days, had become more red on the outside of the skin and it is extremely sore... and so it the one on my right thigh... not really red but very sore to the touch. Since I still have a week before i see the surgeon I called my PCP this morning and told them to let him know, and that I felt I needed another round of antibiotics until I can get in to see the surgeon. I fear now that the infection could be growing outward, and that is the very last thing I need right now... so I am waiting on a call back to see what they say. I hope he does not want me to come in... there is really nothing more to do, but get back on the antibiotics, and wait to see the surgeon,... and then I have to run over across town and get that chest Xray I hope done today. PLUS I DO have to take Mom's care to be inspected today, since they have made the changes in how we register and inspect our vehicles in TX, as of March 2015.So, we can't get the registration sticker until I get it inspected.... but not a big ordeal, I just have to go get her car, and take it to be inspected... I DID get the "bug granules" finally yesterday and I broadcasted them from front, back and sides all over my lawn. I HOPE that curbs the fire ants, which I have already put stuff on all of the mounds, but this other stuff also gets rid of other ants, fleas and so forth, which I can tell what I put out in the Spring has stopped working... thus I needed to do it again... ONE GOOD NOTE FINALLY... OR I HOPE SO... MY ECHOCARDIOGRAM CAME BACK THAT MY HEART FUNCTION IS "BETTER" A BIT, THAN WHEN I HAD ONE DONE IN 2011!!!!! NOW THAT DID MAKE ME HAPPY! But, as I told Mom, I "hope" the heck it is "mine" and is accurate!!! Knowing my luck, hell it could be read wrong or someone else's - anything is possible with me and my stuff.... nothing is usually ever that easy..... but if so, that means I should be good to go for the lumbar surgery dammit if I ever get RID of this damned whatever is going on with the lumps on both thighs... there is no way, no how they will do surgery on me until I am all clear of that, along with now I will NOT be able to get back on the Orencia or the Xeljanz UNTIL I am all CLEAR of infection!!! WHICH MY RA IS so MUCH worse! Both of my hands, wrists and fingers, I can barely use... I have hell from opening a jar, a lid, or anything, along with I can't carry stuff as well... my hands are just so swollen, even this morning worse than ever... my ankles, my shoulders, neck everything to do with my "joints" seem to be so much worse that ever... and I am extremely concerned... not only am I so stiff and swollen, the pain is bad again in my hands, fingers and wrists... PLUS I GUESS since my neighbor had chosen to all of a sudden ignore my existence... O am going to have to fix my lawn mower (the rope broke that pulls it to crank) fix that, and mow the lawn myself... I am sick and tired of seeing it like this, and I will be damned if I ask him... he has a "bee" in his bonnet over something, I have NO CLUE what the problem is... but my yard looks like hell and I intend on getting it mowed dammit... well I have to get dressed and get going... or I will never get all of this crap done... more later, and happy Friday to All! 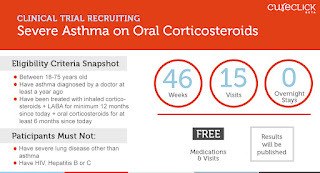 One of the few treatment options for severe asthma patients who are uncontrolled despite standard treatment is the addition of oral corticosteroids. However, regular intake of these oral corticosteroids can decrease the quality of life for such patients. 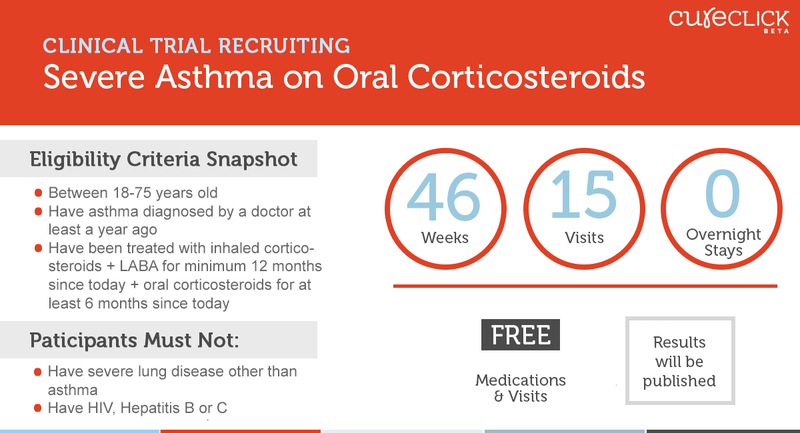 The purpose of this research study is to see whether the investigational drug can reduce the use of oral corticosteroids in patients with severe asthma. 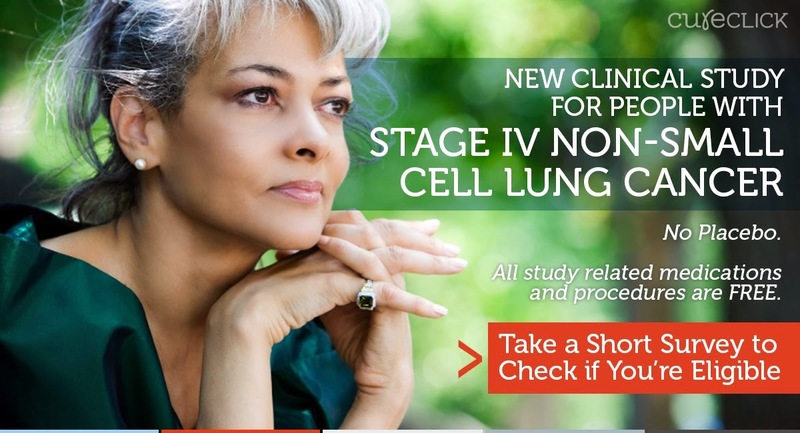 There is a new clinical study looking for patients with Stage IV non-small cell lung cancer who have already been treated with chemotherapy. The purpose of this study is to compare the new investigational medicine versus the standard-of-care treatment with respect to life expectancy outcomes. The study drug (LY2835219) is administered by Tablets, Pills, or Capsules. 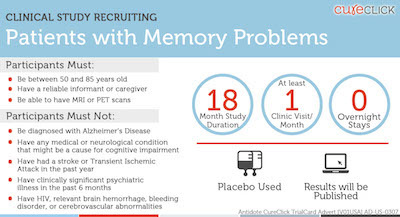 At least 193 people have already taken this drug in clinical trials. 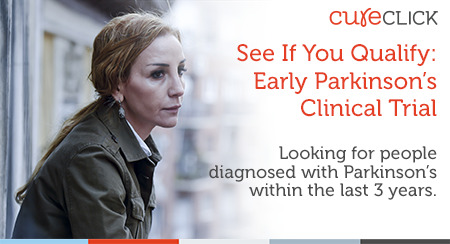 There will be 550 participants in this trial, at 20 sites around the world. National Pain Awareness Month September 2015 - US Pain Foundation and the "30 day" Challenge for you! 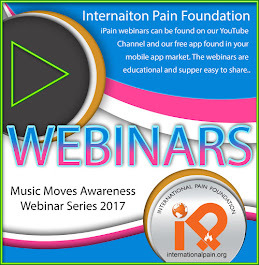 The National Pain Awareness Month coming very soon for September 2015, and sponsored by the US Pain Foundation have all types of things YOU can do to spread the word about Chronic Pain, to everyone, whether online, in your community, state... you can help! My Mayor here in my hometown, has signed a "Pain Proclamation" and they have also okayed me to put up Posters, Ribbons and so forth for the "Beautify in Blue" Campaign for September Pain Awareness, and I am thrilled to be able to do something! 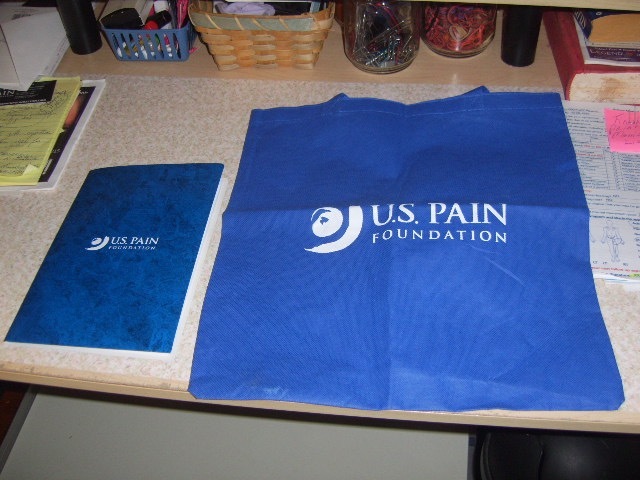 US Pain Foundation and Some Fun Ways to Spread the Word! encourage you to wear on a daily basis! 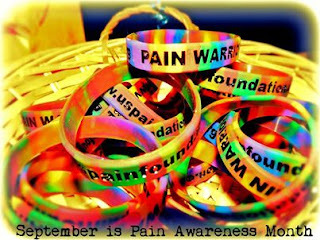 proudly display “Pain Warrior” for everyone to see! given permission to do so. Facebook page on your social media platform of choice! 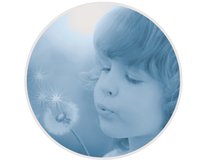 participate in one of the complimentary therapy options. Write a list of things you like about yourself! you are proud of achieving, despite your pain. emailing it to fellow Ambassadors and/or on social media. mean it! Go ahead and take another personal day for YOU! innovative today and let your individuality shine! 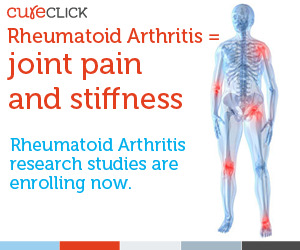 share your challenge on the US Pain Facebook page! other volunteers within your state or across the country! saying you have created and make it your daily mantra. U.S. Pain Foundation Ambassador family! I will go ahead and mention that I got our Mayor here in my Hometown to sign a "Proclamation" for September 2015 being National Pain Awareness Month! The US Pain Foundation is "hosting" a "Beautify in Blue" Campaign to bring awareness into our towns and cities. Ennis has allowed me to be a part of this event for September. I am not sure all of what my package will be from the Foundation, but I will have signs, posters, ribbons and so forth to put up around town. 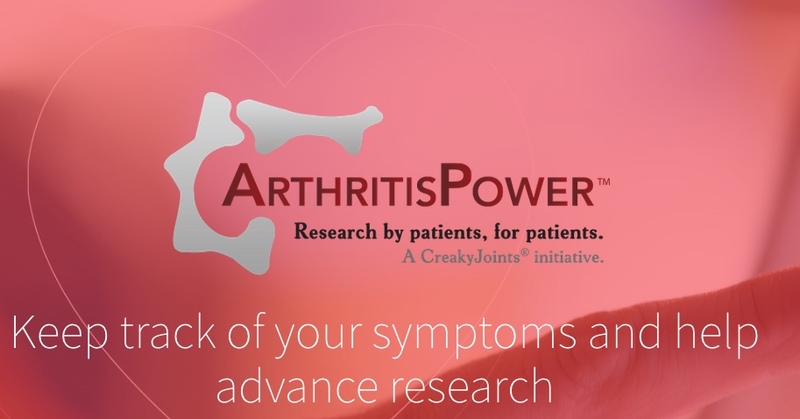 So, I am thrilled to be able to do something and give our town a look at just how chronic pain can "control" your life, and just how many right here in town suffer from all types of illnesses that also have chronic pain issues in tandem. Even one of the gentleman that does okay these types of projects told me he suffers from Migraines. 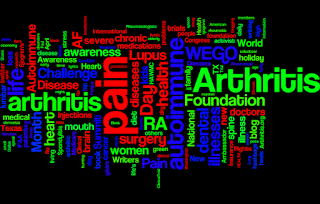 It is amazing when you speak out about some of the chronic illnesses and pain here in your own "backyard" so to speak, how many others are also suffering too. 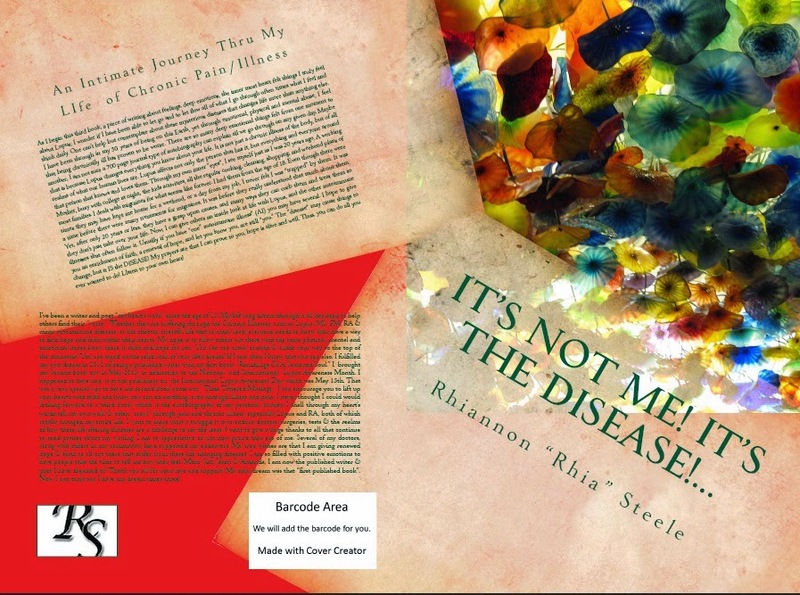 I have two cousins, both suffering from RA, even before I was diagnosed. In fact my 1st cousin Mike, who just lost his Mom to stomach cancer (my Mom's sister and my Aunt of course) just had hip replacement, this is his 2nd replacement - (two weeks ago), he had his other hip done, about the time I was having one of my knee replacements done probably in 2008 or so. I have had "so many" and in 2007. I believe I went through about 7 surgeries or more on joints, so the dates sometimes become a blur. But, I know others that I run into in the market of Wally World and so on, that also have issues, some of them like my neighbors across the street, the Mom, and both sisters all have diabetes. I believe their Dad also suffered from it. In fact the youngest sister, and she was maybe in her 40's passed away about a year ago after fighting diabetes. She had already been on dialysis. The Mom has also been on dialysis now for several years. She "shattered" a knee not too long ago and spent weeks in the hospital and in rehab, but due to her illness, and the dialysis and age, they would not do surgery on the knee. I don't think the doctors feel she could make it through the surgery. She is sometimes so weak, they have a difficult time just getting her to dialysis. It is just sad to see what the entire family is enduring. The son, is just an incredible man. I don't think he has been "plagued" with diabetes yet. But, he also has two strikes against him on both sides of the family. You don't see it as much in men, especially the type they have, but with the family history, he certainly could succumb to it. 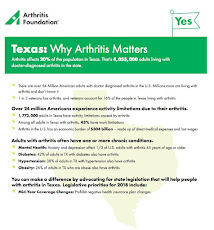 After all of the advocacy I do for Autoimmune Illnesses, Lupus, RA, Sjogren's, and also Arthritis the AI kind, as well as osteoarthritis, along with Cancer and Heart Disease, sometimes the issues of Chronic Pain kind of take a "back seat" in my activist roles. So, since Chronic Pain, which of course I know all too well, from my own personal and up close experience with it now for many years, well before the Autoimmune Issues were diagnosed, I suffered from such horrific Migraines that I was sick with them sometimes several times a month, for many years throughout the time I was about 17 years old, until about the age of 45 or so. They became so bad at times, that I had to resign jobs, that I had been in for years at a time. 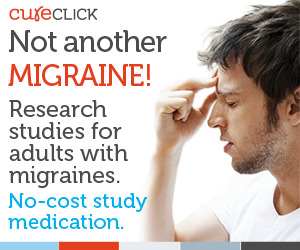 It became such a burden, yet back then there were not many answers as far as migraines went. They had very few medications, most of them of course narcotic pain medication, and even back then, the doctors were so leery about giving them. 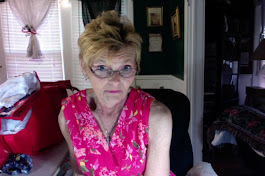 But, if I did not have my prescriptions, it never failed I wound up in the Emergency Room so many times, and even that for one got OLD very quickly, and for TWO, of course the ER doctors began to think of course I was after the "drugs" rather than having Migraines so bad. So, oddly enough, once the diagnosis of the autoimmune illnesses were made, and I finally found after years and years of suffering by then all types of chronic pain issues, an awesome Pain Management doctor, who has been taking care of me now for at least 8 years maybe more... and he even put in my internal pain pump in 2010. My migraines seemed to have calmed down, even before the pain pump. and began to change. 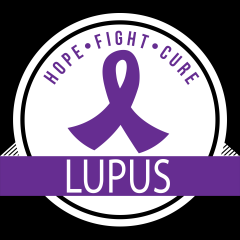 I began to have "Lupus Migraines"... and an injection of corticosteroids, along with a step down pack for 7 to 14 days, was the only thing that helped those. But, my chronic pain became more complicated due to all of the severe joint issues, of which some I have had surgery and others still bother me with chronic pain, which is a part of many AI illnesses. 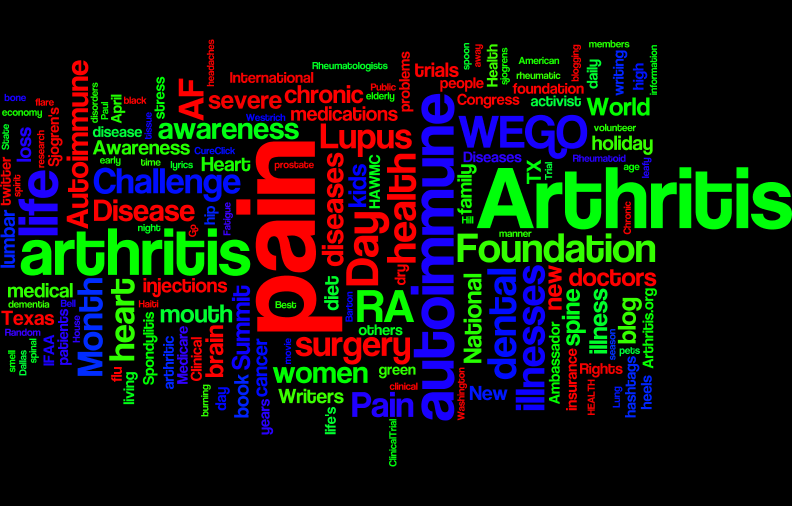 So, I felt compelled to now do some advocacy work in the realms of Chronic Pain. Thus my reason for helping out with National Pain Awareness Month, and the Beautify in Blue Campaign. 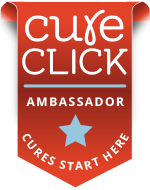 I hope to be able to help educate others about Chronic Pain, and just how badly it can also effect your quality of life.